A drug-user was caught with £2,000 worth of cannabis plants in his bathroom after a police raid. Chesterfield magistrates’ court heard on September 4 how Reece Hobson, 35, of Cedar Close, Eckington, was found to have ten large cannabis plants in the bathroom area of his flat with drug-growing equipment. Mrs Allsop added that police also found a fan for circulation, a lamp and a transformer above the plants with other associated items used in the production of cannabis. The court heard that the potential yield from the plants had an estimated street value of £2,000 and two dying plants that were also found had an estimated value of £350. Hobson told police he had been trying to grow 15 cannabis plants and there were ten plants left. 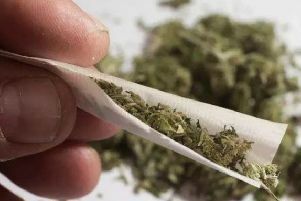 He added that he had been trying to produce cannabis for his own use because he was a recovering alcoholic and he had been suffering with depression and anxiety. Hobson told police he had bought 15 seedlings via the internet and transformed them into larger plants and he was only going to use the cannabis for personal use. Police confirmed that Hobson’s account was plausible and there was no evidence he had been supplying the class B drug. Hobson, who is of previous good character, pleaded guilty to producing ten cannabis plants from December, 2017. Magistrates adjourned the case to consider a probation report and sentenced Hobson on September 7 to a 12 month community order with a Rehabilitation Activity Requirement and 80 hours of unpaid work.